Customers: please take note that we will select coins ranging from 1908-1929 to fulfill your order based on our current inventory selection. 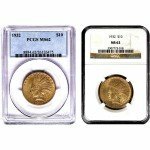 We are honored to offer vintage Indian Gold Quarter Eagle coins produced by the US Mint from 1908 to 1929. 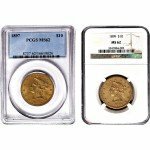 These gorgeous coins are professionally cleaned; and a premium addition to the portfolios and collections of investors and collectors that are enthusiastic about Americana, vintage coins, and the Indian Head design. 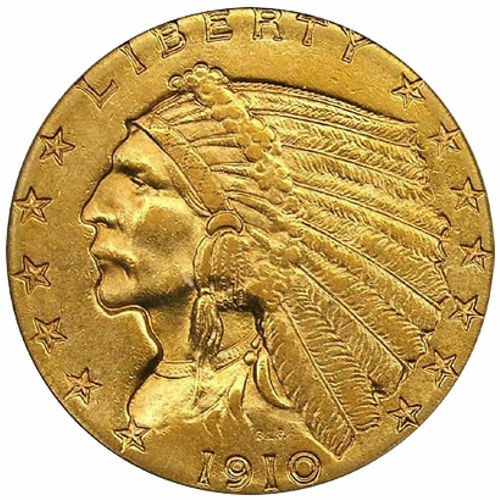 The Indian Head Quarter Eagle coin was designed by Bela Leon Pratt. The coin’s unique flat and engraved surface distinguishes it from most American coinage and bestows a simple elegance to the piece. The obverse side of the coin features the profiled portrait of a Native American in full head dress. The image is crowned with the word LIBERTY, and flanked by 13 stars. The date is below. 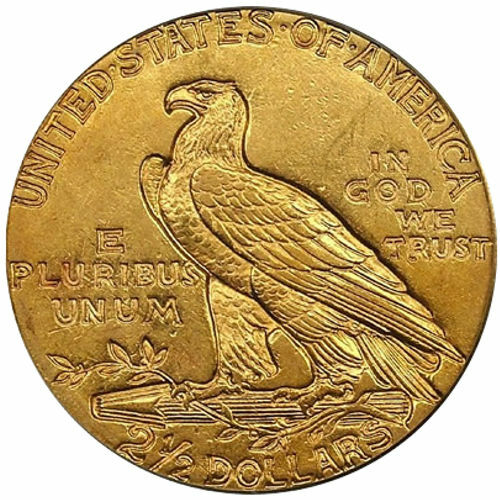 The reverse side of the coin features the American eagle in a three-quarter profile pose. It is encircled by the words UNITED STATES OF AMERICA on the top, 2 ½ DOLLARS on the bottom, and flanked by the words E PLURIBUS UNUM on the left and IN GOD WE TRUST on the right. 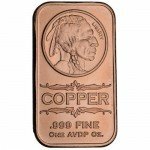 Silver.com is pleased to offer other Indian Head design products in gold and silver coins, medallion rounds, and bullion ingots. We invite you to browse our generous collection. Your vintage coin will be personally selected for you by the staff at Silver.com according to our available inventory. The coin is guaranteed to bear a mint date between the years 1908 and 1929 and to be professionally cleaned. We provide price reductions for larger quantities and a four-percent price reduction for orders paid by check and wire. Orders will be sent through USPS or UPS within three business days of cleared payment, and delivered directly to your home or office. Each order is traceable and insured for its full amount while on its way to you as to protect your investment. If you have any questions about our vintage Indian Quarter Eagle gold coins produced by the US Mint or the ordering process, you can reach Silver.com at 888-989-7223. Our professional staff is also accessible through email or live chat.